This is a Vintage style lei that was popular in the 1970's. We will make to order so please request the color or colors you need. We use ric rac ribbon to create delicate strands roughly 36" in length. 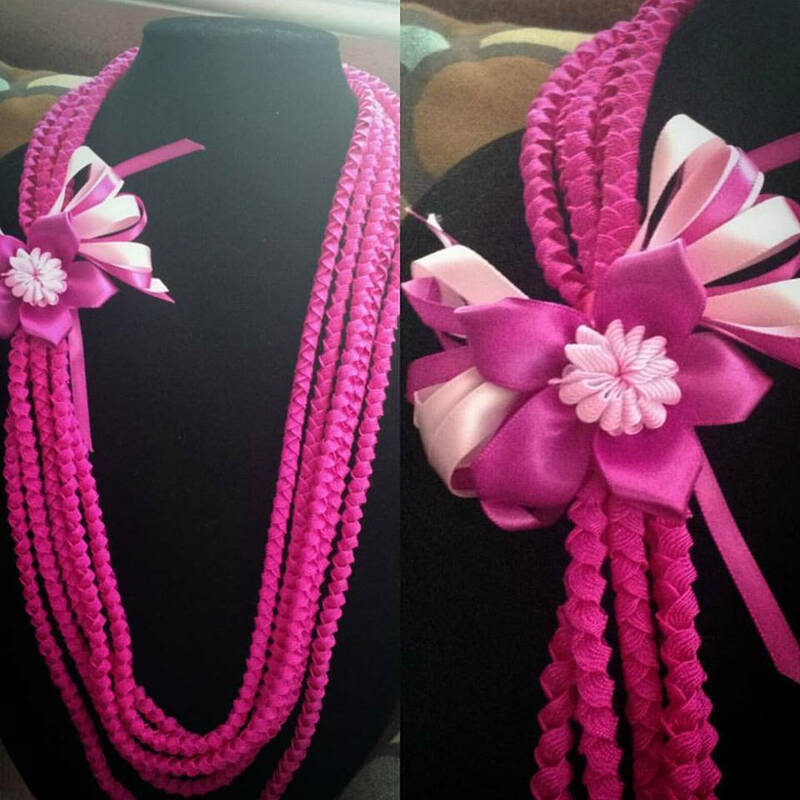 We place 5 strands together to complete the look of the lei, tied together with ribbon and ric rac flower accent in coordinating colors. 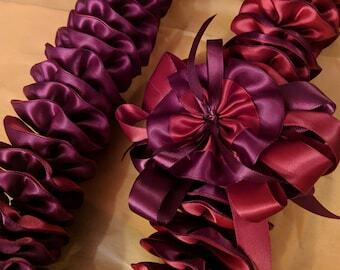 Request this lei in ivory and the lei looks to be like strands of pikake perfect for a wedding. Beautiful in solid colors and multiple colors. Once completed, we will ship out via USPS.